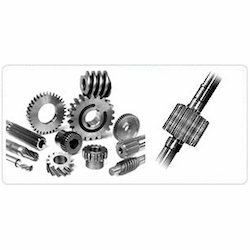 We are a leading Manufacturer of automotive pinion shafts from Ahmedabad, India. We are one of the leading organizations engaged in providing excellent quality Automotive Pinion Shafts. The offered pinion shafts are manufactured by using the finest quality raw material and sophisticated technology in adherence with industry norms. Our quality examiners check these pinion shafts on different parameters so as to ensure their quality at clients' end. Moreover, we offer these pinion shafts to our clients in different sizes and specifications so as to cater the needs of our clients.